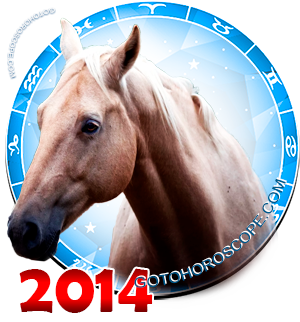 July 2014 Horoscope Scorpio, free Monthly Horoscope for July 2014 and Scorpio Astrology Forecast for the month ahead. 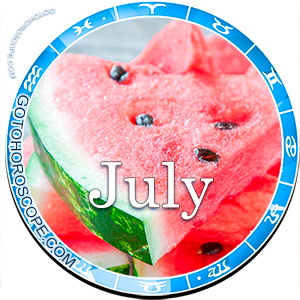 July 2014 will be a relatively peaceful time for the zodiac House of Scorpio, though it will not lack ambiguous and sometimes even dangerous moments. The thing is that throughout the duration of the current period, the Scorpio will have very strong allies on the celestial band, but its enemies will not be much weaker. However, the multidirectional energetic emanations of the Solar System planets will neutralize each other, so people born under this sign will face two sets of energies at once. On one side, Mars - the planet-ruler of the House of Scorpio, will fully help his earthly protege and will focus on the "love front". At the same time Venus, responsible for the "expulsion" of the Scorpio in its usual position and strengthened by soe general combinations, will try very hard to prevent the fulfillment of this House's plans. The Moon will have a sudden ally in the face of the Scorpio's exalt - Saturn. As a result, the strength of the opposing sides will be practically even. 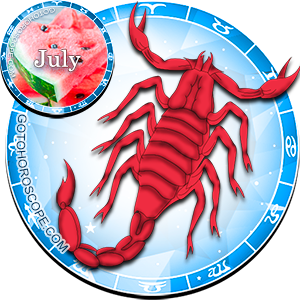 In such conditions, the sphere of business and entrepreneurship will become a true challenge for the Scorpio in July 2014. While you do not have to expect any serious problems, you should still take note of some nuances. For instance, your relationship with management. There is a high probability of conflict in July, you being their initiator rather than your boss. The reason may be that some initiative of yours will not get through. You should not jump to conclusions; perhaps you are not as right as you think. Maybe your project needs serious work before it is complete. Try to look at the issue objectively, ask for your friends' advice. It is most likely so that you have to work in this direction. The second issue that you should focus on in the forecasted period are your work responsibilities. There is a possibility that the overpressure of the energetic body due to the exclusively active planetary energies will cause a false tiredness. You will be sleepy and passive; you will not have any desire to work. However, do not even consider slowing down your working tempo! Collect yourself! In reality, everything is okay and you are in a great condition to successfully fulfill all your goals. In terms of personal relationships, the stars warn you against new acquaintances. Even if you really want to and all of the positive signs are there. STDs are the minimum of what you can receive if you do not trust the advice of your celestial advisors. Even if you are single and have long-wanted to change the status-quo, do not rush to be especially active right now. Mars will aid in overcoming your enemies, but the Moon will definitely turn your victory against you. It is hard to say what your own will will amount to in this situation, but nevertheless you should not undertake rushed decisions. In dire circumstances go to your closes friends. Their opinions will most likely significantly differ, but will give you some food for thought. Not much more is demanded from you - just think before you act. The analysis of circumstances, even the most shallow one, will provide you with all the information necessary. As for the rest, you can confidently rely on your own feelings and wishes.